Is This The Top Of The Oil Market? 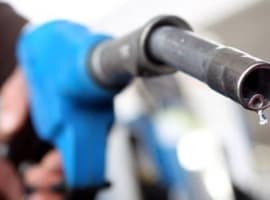 The surge in gasoline stocks offset the positive news of a crude inventory drawdown this week, deflating sentiment surrounding crude oil prices. Gasoline stocks jumped by a stunning 6.8 million barrels for the week ending on December 1, the second consecutive week of strong builds. In fact, it’s the largest two-week increase in inventories since the beginning of this year. That bearish data was compounded by the fact that U.S. oil production data showed a jump to 9.707 million barrels per day, an all-time record high. The fact that the U.S. is now producing more oil than ever before would be big news, but everyone kind of expected this to happen at some point in 2017, with more gains in the offing for 2018. It wasn’t all bad news for oil bulls—the EIA did report a drawdown of crude stocks by 5.6 million barrels, another strong reduction and further evidence that the market continues to rebalance. Beyond those headline figures, there are other elements to consider. 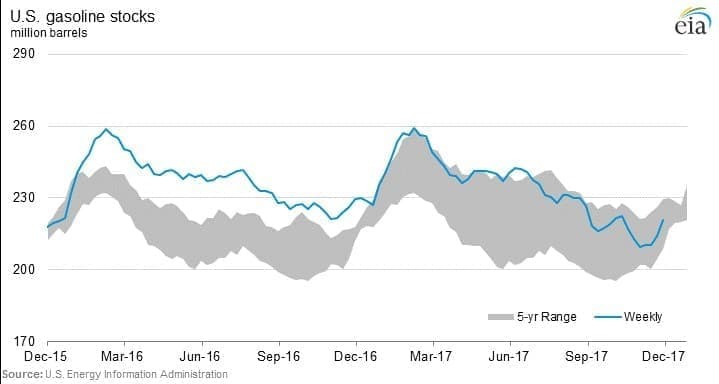 The rise in gasoline inventories is a side effect of refineries operating at full capacity, chasing high margins for distillates. In the most recent week for which data is available, refinery runs were 1.8 million barrels per day higher than the running 10-year average. As Reuters points out, distillate margins have been high for much of 2017, due to strong global demand. 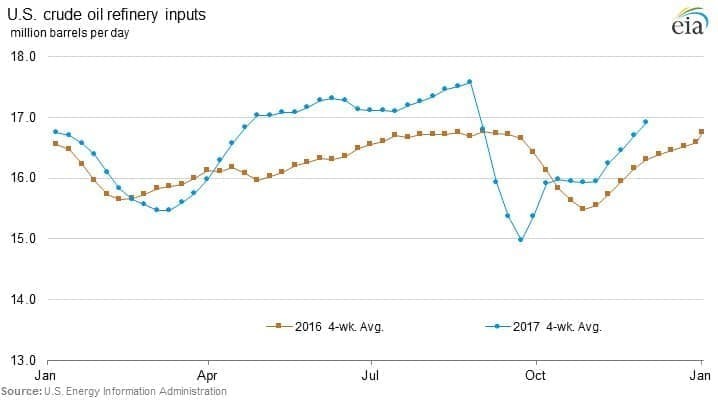 Refineries, responding to strong margins—distillate fuel oil margins jumped from $14 to $25 per barrel between June and November—stepped up processing. A side effect of the pursuit of distillate production is that gasoline supply has also spiked, which has kept the U.S. well supplied. The distillates were exported while some of that gasoline was diverted into storage. Thus, the buildup in gasoline stocks. Now, it seems, “record refinery runs and distillate production have finally caught up with demand,” John Kemp of Reuters wrote on December 7. Margins have eased a bit, distillate stocks have stopped falling and there is now some downward pressure on product prices. 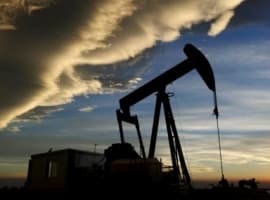 What does that mean for oil? As margins shrink, refineries could take their foot off of the pedal, and lower their processing rates. That means that the huge draw on crude inventories could ease as demand for crude falls back. In other words: Bad news for crude prices. In fact, some analysts think we are at the top of the market. “We’ve had a significant run since the hurricanes in late August and early September… but a lot of that market upward swing, again, was based on a lot of speculative money pouring into the market,” Stephen Schork, editor at The Schork Report, told CNBC. With the excitement over the OPEC extension now in the rearview mirror, the adrenaline-fueled buildup in bullish bets on crude futures is starting to look overdone. “The sentiment-driven support to crude oil prices has somewhat dissipated as market participants look beyond last week’s OPEC meeting,” Abhishek Kumar, senior energy analyst at Interfax Energy’s Global Gas Analytics, told Reuters. Moreover, Schork says that more production is likely coming from the shale patch, due to the wave of hedges that were locked into place in the past few months. “The producer is doing significant hedging of oil at this level. So I always like to say, ‘if the guy that has to pull the oil out of the ground and sell it—if he likes selling it here… I don’t like buying it here,’” Schork said in a CNBC interview. “So yes, I do think we are at the top of the market.” He predicts that WTI will head back to the low-$50s. The EIA is forecasting U.S. oil production at 9.9 million barrels per day in 2018, which would be the highest annual average every recorded. There is a case to be made that the U.S. shale industry is actually facing a lot more obstacles than many believe, but if U.S. output continues to climb and prices take a dive, it will seriously complicate OPEC’s efforts at balancing the market in 2018. 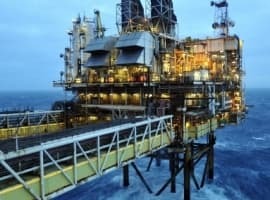 The days of oil use is coming to an end. This is what my psychic told me at my last card reading. The price will go down Monday because the price went up on Friday, Keegan's law.